Pilgrim's Rest is a small museum town situated on the magnificent Panorama Route in the Kruger Lowveld region of the Mpumalanga province of South Africa. The area is richly imbued with a diversity of natural, cultural and historic gems. The entire town of Pilgrim’s rest has been declared a national monument. 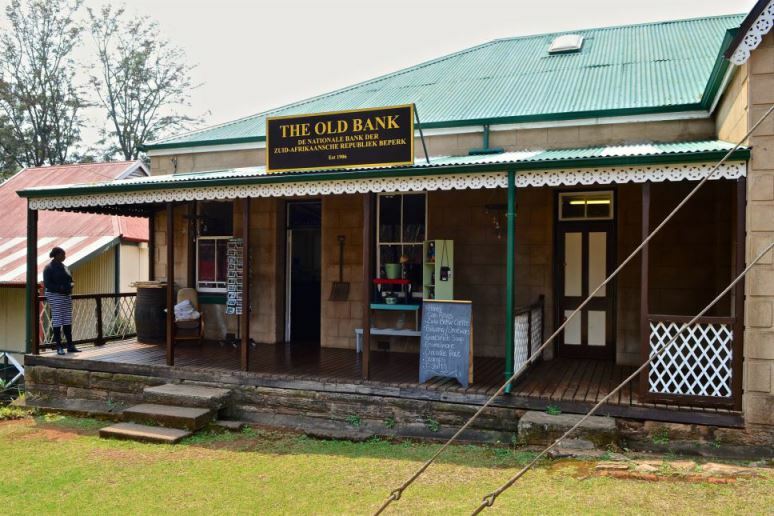 Here, visitors can relive the days of the old Transvaal gold rush. The uniqueness of this historic village is vividly evident in its museums and historic sites. It offers the visitor a fascinating window into the past, and captures the spirit of a bygone era and its people in their quest for gold. The entire town of Pilgrim's Rest was declared a National Monument in 1986 as a living memory of the early gold rush days in South Africa during the late 1800s / early 1900s. Since then a dedicated team of historians, architects, curators and special interest groups closely monitor all developments and refurbishments in the village to maintain its historic appearance. The history of this quaint and delightful village dates back to 1873 when a miner, Alec "Wheelbarrow" Patterson had found gold deposits in Pilgrim's Creek, on the farm named Ponieskrantz. Though the discovery was kept as a secret, once a second prospector named William Trafford also discovered gold close by, the inevitable happened. Soon after, optimistic panners and prospectors from all over the country and the World came to the area. The Valley proved to be rich in gold and by the end of the year, there where about 1500 diggers working in the area. As a result, Pilgrim's Rest became a social center of the diggings. On 22nd September 1873 Pilgrim's Rest was officially proclaimed a gold field and the scatter of tents and elementary shacks soon grew into a flourishing little village complete with sturdy brick houses, shops, churches, canteens, a newspaper and the well-known Royal Hotel. Within a year there were 21 stores, 18 canteens, 3 bakeries and all sorts of other interesting establishments. Interestingly, the diggers called it Pilgrim's Rest because here, at long last, after so many failed dreams they had truly found their home. Today, Gold Panning is still supported and practiced by people from all races, genders and ages. There is plenty to do and experience here. From exciting curio and craft shops to fascinating historical sights, one can never be bored. 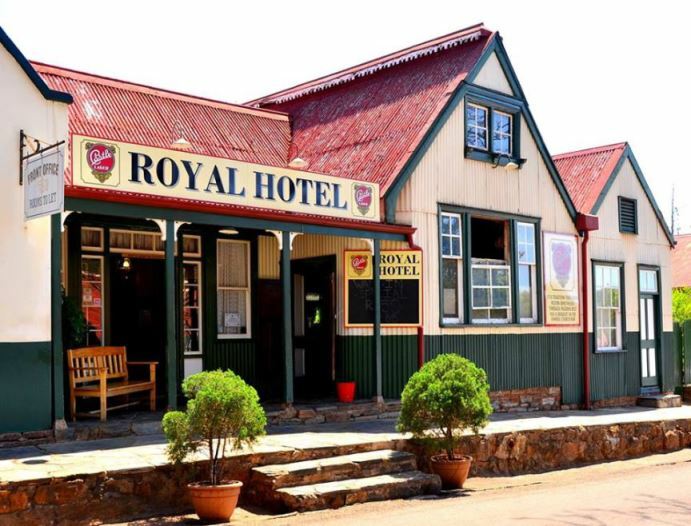 Interesting historical sites include old church buildings, namely Sacred Heart Church, St Mary's Church, Methodist Church and Dutch Reformed Church, Dredzen Shop and House Museum, Historic Cemetery, Joubert Bridge, Digging Museum & Gold Panning and the Printing Museum. There is an abundance of gorgeous arts and crafts shops where one can purchase pottery, stained glass, weaving, hot glass and even custom crockery. Other exciting activities include horse riding, bird watching, hiking, mountain biking and golfing. The Mount Sheba Nature Reserve boasts a series of outstanding walks offering spectacular scenery. There never was a more beautiful or romantic spot to have a gold rush than Pilgrim’s Rest. This spectacular area is richly imbued with a diversity of natural, cultural and historic gems. The uniqueness of this historic village is vividly evident in its museums and historic sites. The beauty here is unsurpassed. Pilgrims Rest offers all visitors a fascinating look into the past and captures the spirit of a former era and its people in their quest for gold. It is definitely well worth a visit.